Nowadays, we can buy a diamond in any shop, but in a few ones we can feel ourselves safe of the fact that are not cheating on us and we are paying for the actual cost. In February 2013, Tiffany & Co. It sued Costco for the sale of the “Tiffany” rings. Tiffany published a press release in February 2013, alleging the sale of counterfeit rings, “Costco has infringed the trademark of the company, causing damage to the brand and its customers”. Costco in compensation demanded in March, alleging that “Tiffany” is now a generic term that describes a ring with a diamond mounted in six tops. Costco sells high-end legitimate including Cartier and Chanel jewelers, so that customers could believe that they were buying genuine Tiffany rings at reduced prices. Other Jewelers refer to their rings as “Tiffany style”, but Costco was really selling rings “Tiffany”. Costco was found guilty of violation of trademark in the past year. “Good Morning America” invited an expert gemologist to the show to compare similar diamonds Costco and Tiffany. While Tiffany diamond worth 58% more than its price in the initial evaluation, the Costco diamond was sold by 17% less than its real value. Everything comes down to the preference. Although some of them might prefer to pay less for a ring of better quality, others will have to pay a little more for the small blue box. 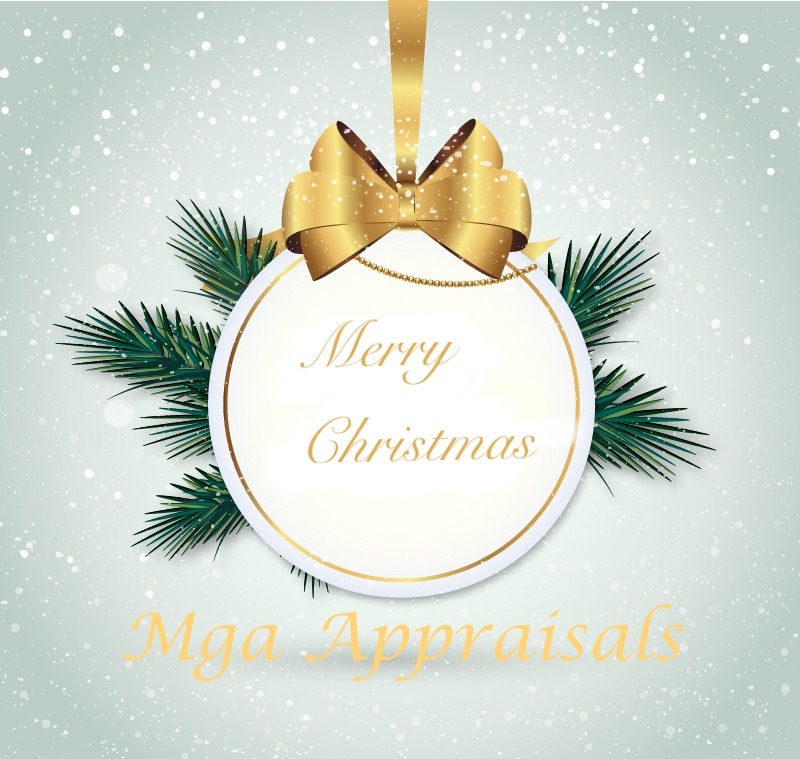 A company that offers the appraisal – sale service is Artsvalua in which I collaborate. The January 17, judge Laura Taylor Swain rejected the request of Tiffany for the trial, and she supports that a jury might think that the term “Tiffany“ is generic and therefore the mark is not valid. Costco can continue with its defense argument. A few months ago some students from the University of La Rioja made contact with me to request an unusual pricing “PRICING THE MONASTERY OF YUSO” for a work entitled “pricing the priceless”. A fellow appraiser told me once that there is nothing that you can’t price. Pricing can be more or less successful, but you can do it. As many linguists may check in the title there is a contradiction, if we can price it is not invaluable. They have carried out the appraisal by two methods: a first method based on cubic meters and a second more developed method, by comparing with other properties which are on sale with similar characteristics, and the price of land as well as the content that it has and the business. 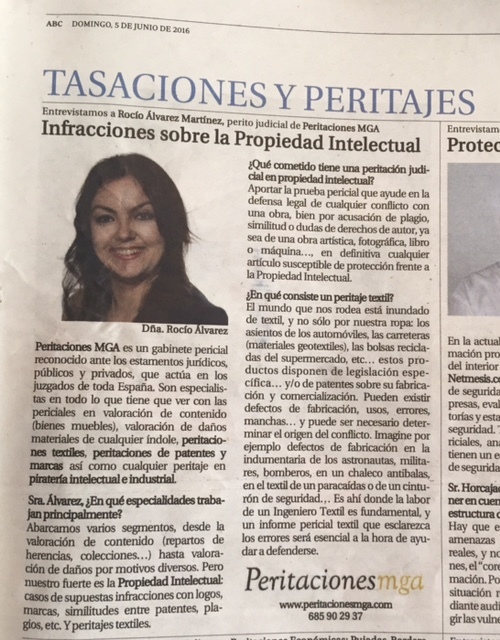 Peritacionesmga and I personally only had the honor to work minimally in the appraisal of the library and archives, which can be considered among the best of the Monastery Spanish time. This was based on copies that exist in the world and the peculiarities of each one of them. The medieval archive basically consists of two cartularies (the Galicano and the Bulario) and around three hundred original documents. The library is preserved as it was finally furnished at the end of the 18th century (there’s intentionally no electric light, for example). Its true value and interest lies not so much in its number – more of ten thousand-, as in the rare conserved copies. On the website of the monastery, “The Evangelario de Jerónimo Nadal”, which is one the monastery highlights one of these bibliographic rarities, printed in Antwerp in 1595. And if it’s weird to own a copy of this Prince edition, more rare is that all sheets are polychrome, one by one. And there are also highlights such us: Summa Casuum of Bartholomeusde Sancto Concordius, an incunabulum in perfect condition, released before 1475 and there are only five copies in the world, according to the website of the monastery they are three copies which are preserved at the National Library of Spain. I personally want to highlight Euclid. Opus Elementorum, incunable book printed in Venice in1482 by Erhard Ratdolt. 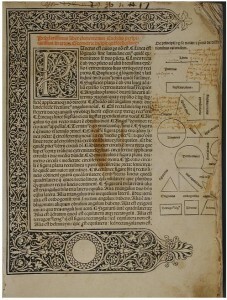 It is the first printed edition of Euclid’s elements, unique among others because it contains geometric drawings in the margins and the introduction of the red ink. We found specimens at different universities as the University Of Sydney, Arizona, and others. But a curious thing that I’d like to highlight is this incunable served as a reference and the influence of this in the 15th century. Checking the manuscripts and notebooks of Leonardo da Vinci, we can see that there are many quotations and references to the elements. The evidence indicates that Leonardo , who was 30 years old approximately at the time of publication, had a copy of the items in its possession. The total value of the monastery of YUSO was valuated in an amount of €103.381.982 of which approximately €40,000,000 would correspond to the library. They can probably do as we said at the beginning, more or less successful appraisals,and they (Gonzalo, Irene and Wendy) in their valuation, they highlight the book “ El Becerro Galicano” for its special interest, and they compare for its time and importance to “St Cuthbert Gospel”, that was sold by a few Jesuit priests to the British Museum by 14.3 million €. I hope they are not too critical, since they did an outstanding work on pricing the priceless.